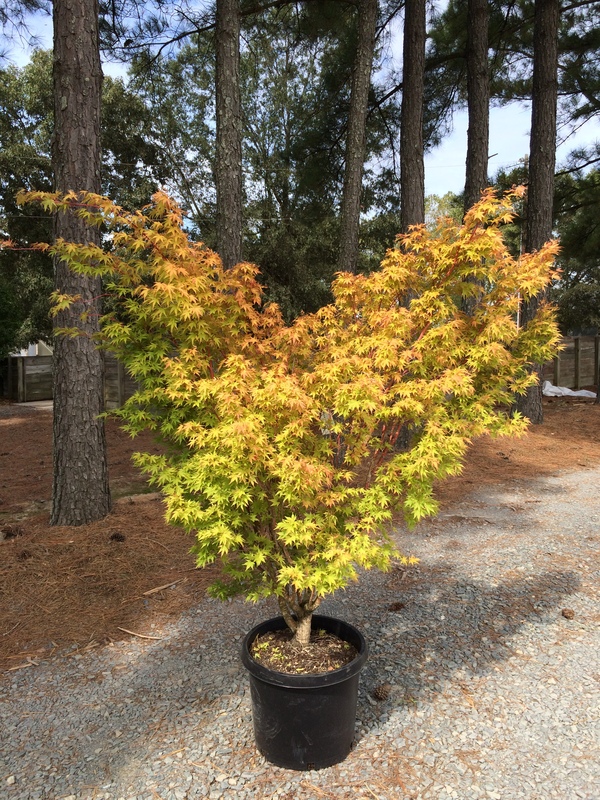 Young branches are coral in color which intensifies during the cold winter months. 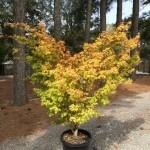 Foliage is light green but turns amazing shades of yellow and orange in the fall. 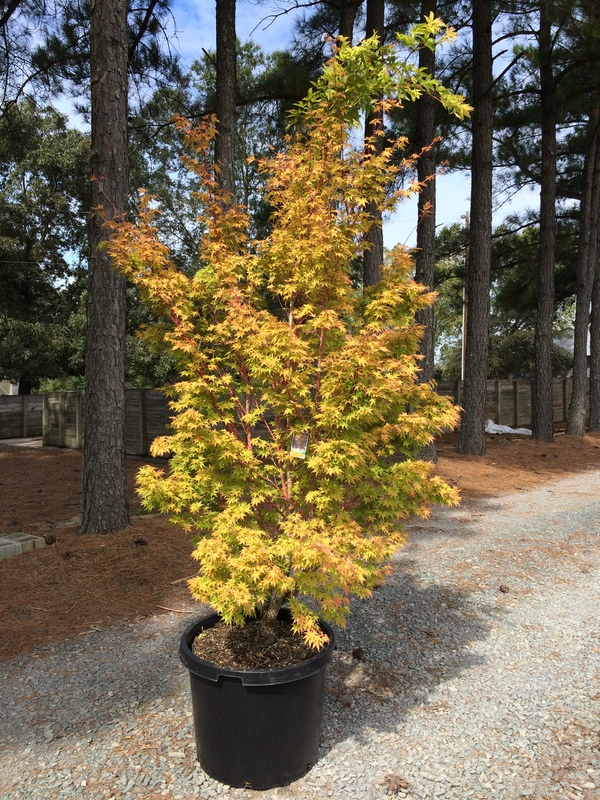 This is an upright growing Japanese Maple that slowly reaches 20 feet in height.